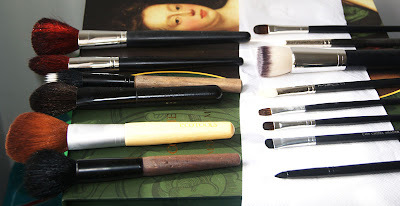 Confession of a Die-Hard Makeup Junkie ❤: SHuiYuki's Time to Clean Your Makeup Brushes!!! Do you clean your brushes? If so, how frequent? Share with me!! :D I will like to know too! For me, I clean my brushes almost every time I'm done with my makeup. Not those super deep cleanse but using my DIY Makeup brush cleanser (which I will show you guys on my upcoming YouTube channel. YAH! I'm damn excited and nervous too!) and spray onto the brushes and swirl them onto paper towels and place them back on the Brush Guards I'd bought from Smoochiezz. 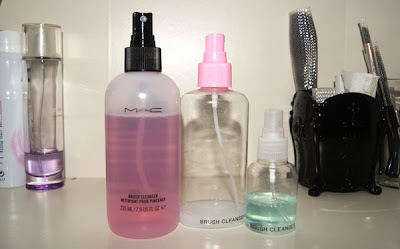 MAC Makeup Brush Cleanser S$21 - The BEST Makeup Brush Cleanser I'd ever came across with! PS: The MAC Makeup Brush Cleanser does NOT come in a spray nozzle. I used from other other spray bottles and replace the cap with this. Alcohol wipes for 100% sterilising of my brushes (not that I share with people BUT) to be answerable to my ONE-AND-ONLY-ONE FACE! 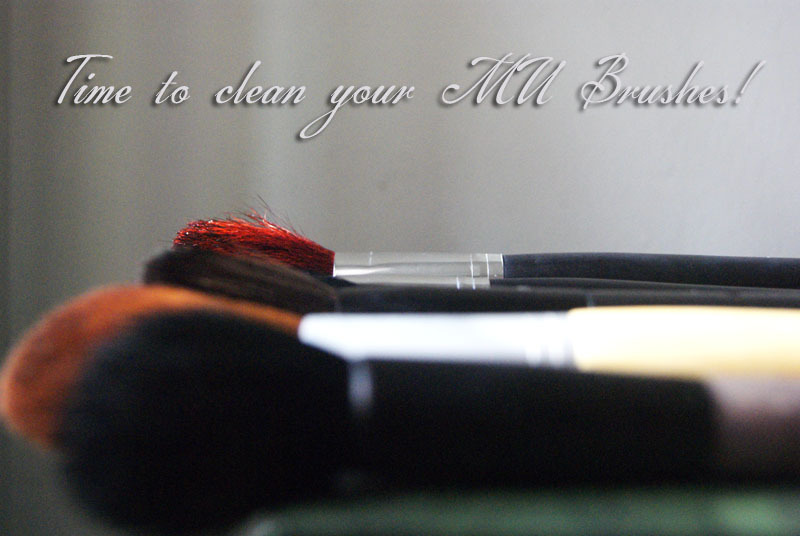 >.<"
^^ I will be showing you guys how to do your very own DIY Makeup Brush Cleanser using CHEAP AND GOOD PRODUCTS. BEST OF ALL, i think you guys ALREADY OWN the products I will be demonstrating on my YouTube Channel! Teehee! Suppose to hang them upside down but couldn't find my strings! Argh! Hey teach me how to make a brush cleanser. Iwanna know i wanna know! Hey babe! :) Sure! Will be uploading the video soon! It was a MAD & CRAZY week last week due to F1!